Mr. Lunt is a Principal of NVCommercial, Incorporated, NVRetail, Incorporated and Metro Realty Group since 1987. He is acting as general partner for the seven building office real estate portfolio of NVCommercial in Northern Virginia and Denver, Colorado, and is an active partner in its retail developments. Such developments include a 500,000 square foot shopping center in Winchester, Virginia, and a new town center in Loudoun County, Virginia. For the first six years of his career, Mr. Lunt was in the real estate investment group of The Northwestern Mutual Life Insurance Company. During this period, he was actively involved in over $200,000,000 of new investments. 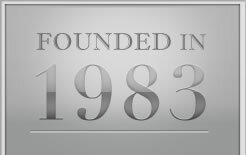 From 1985 through 1987, Mr. Lunt was Senior Vice President of Oxford Development Corporation in Bethesda, Maryland, one of the nation’s largest apartment developers. He was head of the Institutional Markets Group, which managed all debt and joint venture financing for the company’s projects and initiated several public market financings on Wall Street. Mr. Lunt graduated with a MBA in Finance from Indiana University and received a Bachelor’s in Economics from the University of Richmond. He earned Beta Gamma Sigma honors at both Universities, and Omicron Delta Kappa honors during his undergraduate years. Mr. Lunt has served in various leadership roles in the Community. He was Chairman of Carpenter’s Shelter in Alexandria, Virginia from 1996 to 2001, and is currently serving as a Board Member. This is the largest homeless shelter in Virginia, which serves the needs of approximately 1,200 people each year. He has served as Chairman of Friends of Guest House, the only residential facility for female ex-offenders in Northern Virginia from 2003-2011. Mr. Lunt became involved in July of 2003 after the facility closed; it reopened in June 2004. Both charities are models in the community, and have been recognized by the Catalogue for Philanthropy.